Welcome to the 2014 WOW Portal! Here you can find what is new and exciting about the 2nd annual WOW, information about the planned events and our list of community sponsors. We use #2014WOW #2014WOWAmbassador #OLIP-PLIO on social media to post about 2014 WOW. Welcoming Ottawa Week (WOW) is an annual, week-long series of dialogues, cultural and celebratory events, sports activities, documentary screenings, and other fun events designed to convey the genuine welcome and hospitality of Ottawans to newcomers, while providing opportunities for quality interactions between residents, old and new. To learn more about the annial WOW events click here. Two well-known Ottawa immigrant champions – Louisa Taylor and Sarah Onyango are the honorary Co-Chairs of the 2014 WOW Campaign. Together they will promote WOW initiatives throughout the week of June 23-28. The planned events and discussions are expected to increase awareness and leverage creative solutions for overcoming the remaining challenges in welcoming and integrating immigrants into our community. To read the biographies of Louisa Taylor and Sarah Onyango and to find out what inspired them to chair 2014 WOW, please click here. Read the 2014 WOW Chairs’ Speech at the WOW Launch Reception. Jean Pigott Place at Ottawa City Hall, 110 Laurier Ave W.
2014 WOW Launch Breakfast Reception: Hosted by OLIP and the City of Ottawa, and with Louisa Taylor and Sarah Onyango acting as the honorary co-Chairs, the Reception will offer a preview WOW activities planned at different venues and unveil a photo/stories exhibit of WOW Ambassadors. The Reception will be an opportunity to hear the stories of WOW Ambassadors, selected Ottawans who have demonstrated the spirit of genuine welcome and respect to new immigrants. Media representatives will be offered the opportunity to report on local happenings during WOW. Ottawa City Hall, 110 Laurier Ave W.
Stories & Faces of a Welcoming City: During Welcoming Ottawa Week, OLIP will be promoting and celebrating the spirit of genuine hospitality and respect extended by Ottawans of all backgrounds towards newcomers in everyday life. OLIP, in collaboration with Louisa Taylor and Photographer Dwayne Brown, founder of LoveOttawa , will present an exhibition of the photos and stories of WOW Ambassadors. WOW Ambassadors are Ottawans of all backgrounds, who have demonstrated the human qualities of openness, curiosity, and friendly connection across difference that can be so enriching, but is not always there or easy to achieve or demonstrate in our busy lives. International Migration and Integration: Carleton University will launch a week-long Professional Development program on migration and integration as a Metropolis pilot project, bringing together top Canadian and international for a training program for Canadian and international senior policy makers and practitioners from the immigration and settlement sector. The sessions are funded by Citizenship and Immigration Canada. The Program features a Public Lecture by world renowned migration scholar Graeme Hugo, Universityof Adelaide, on June 27th. Councillor’s Lounge, Ottawa City Hall, 110 Laurier Ave W.
Health Literacy: Rukhsana Ahmed, Associate Professor at the University of Ottawa will offer an interactive presentation on health literacy, followed by the launch of her co-authored book. Co-sponsored by the University of Ottawa and Ottawa Public Health (OPH), this learning event will seek to promote health literacy and equity. An information booth and resources from various OPH programs and services will also be displayed. Focus on Immigrant Seniors: The Diversity and Equity Research Group (DERG) of the University of Ottawa will present an interactive seminar on immigrant seniors’ needs, services and gaps. Panelists represent organizations with experience in immigrant seniors’ services: Jessica Lin and Miranda Chan from the Ottawa Chinese Community Service Centre; Ana Maria Cruz-Valderrama from the Club Casa de los Abuelos in Ottawa, Jacqueline Nyiramukwende from the City for All Women Initiative; and Karen-Anne Blakely from the Jewish Family Services. The event is open to the public. The primary language of presentations will be in English, followed by a bilingual Q&A. Raising Connectivity Through 211: This targeted week-long social media campaign aims to increase connectivity among social service organizations and to increase their awareness about the needs and opportunities for addressing immigrant integration issues. Immigrants in Ottawa will be encouraged to access services through 211 channels. Visit the Facebook & Twitter pages. Discussing Identity: The Ottawa Public Library (OPL) will screen Cricket and the Meaning of Life by Canadian filmmaker Sanjay Talreja as part of its annual “Celebrating Cultures in our Community”. This will be followed by a facilitated discussion on issues of identity, race and history. Musical Collaboration: MASC (Multicultural Arts for Schools and Communities) Monday Cabaret is an informal coffee house and open mic, developed as an opportunity for artists to get together to share their talents and socialize. Artists perform for 15 minutes each and depending on the number of artists wishing to perform in any one evening. Collaboration may erupt with sounds and sights across disciplines and styles, played together, creating new and unpredictable experiences for the audience and artist alike! Collaborative Partnerships: The Town Hall on Collaborations and Resource Sharing will provide a forum for artists and arts organizations to develop strategies for enhancing collaborative partnerships. This event is hosted by the Cultural Pluralism in the Arts Movement of Ottawa (CPAMO). This event hosted by Immigrant Women Services Organization (IWSO) is about immigrant story telling through art. Paintings and Quilt produced by immigrant and refugee women displayed at the exhibition tell powerful stories of their immigration and integration journey. An afternoon of interactive demonstrations and activities, including henna painting, calligraphy, tea ceremony, arts and crafts, music, a performance by a Middle Eastern Dance Troupe, a “Parade of Nations” to present national dresses and booths for community partners. Light refreshments will be provided. All are welcome! Indigenous Walks is a fun yet educational way to learn about Indigenous Peoples experiences in Ottawa. This guided walk and talk will provide a layer of knowledge of the Nation’s Capital through the eyes of an Indigenous person. On the land of the Algonquin Peoples called Turtle Island, this tour will guide participants through Indigenous social, political, cultural and artistic spaces. From the totem pole in Confederation Park to the Three Watchmen sculpture near Major’s Hill Park, participants will get to know Ottawa like they have never known it before! Be sure to join this exciting community engagement event that highlights the richness of Ottawa’s cultural diversity! Contact jaime@indigenouswalks.com to book your spot. An evening of inspiring newcomer success stories which showcases various strategies which newcomers have engaged in to secure employment in Canada. The audience for this event: newcomers, employers and other stakeholders who are interested in the economic integration of newcomers. The purpose for this event is to highlight promising job search strategies and to inspire job seekers to keep on pursuing their goals. The event will also provide a networking opportunity for everyone who participates. Integration Through Arts: This entertaining, interactive workshop will engage participants in learning basic movements in Persian dance to create and perform a short piece in a group. Participants will learn about the importance of the arts in Ottawa and how immigrants can contribute to and benefit from Ottawa’s rich artistic landscape. The dance style integrates Iranian, East Indian, Arabic, and African influences to create a beautiful, dynamic piece, which is appealing to people of different backgrounds. 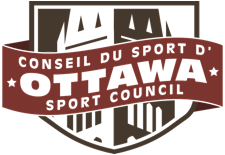 Ottawa’s Municipal Sport Strategy: The City of Ottawa is working in partnership with the Ottawa Sport Council to develop a municipal sport strategy. Participate in this engagement event with other individuals from Ottawa’s diverse immigrant community to discuss your sport preferences as well as the barriers you face to access sport in Ottawa. Workplace Acculturation: Designed to help new immigrants navigate and integrate into the culture of Canadian workplaces, this four-hour interactive and fun workshop is sponsored by YMCA – YWCA Employment Access Centre. 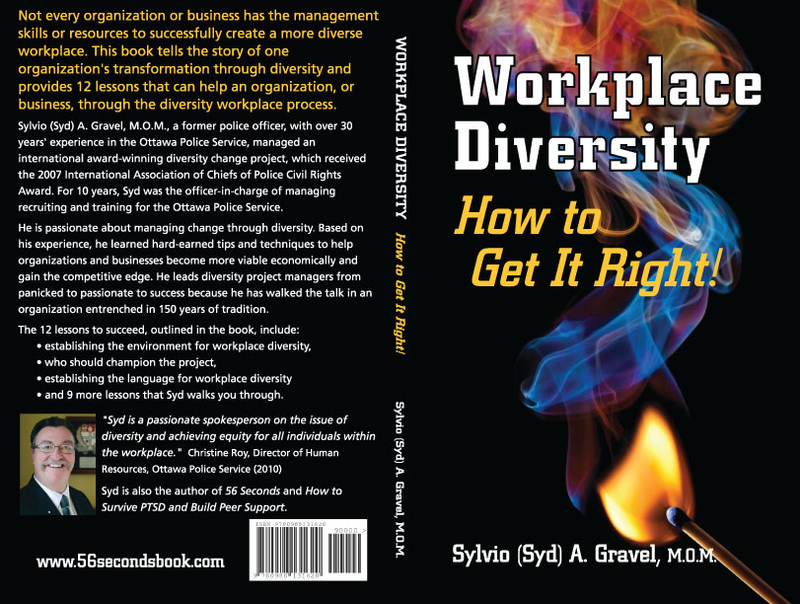 Managing Diversity at Workplace : The book by Sylvio A. Gravel, Staff Sergeant (ret’d.) of the Ottawa Police Service provides a management advice to organizations and business on the skills and resources required to successfully create a more diverse workplace. 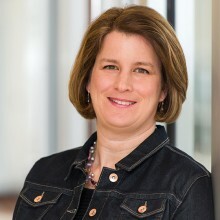 The book is based on the learning from the diversity change project, which received the 2007 International Association of Chiefs of Police Civil Rights Award. This study is an important local initiative that has contributed to making Ottawa more welcoming for everyone, including newcomers and racialized communities. The workshop will consist of a presentation of the findings, followed by questions and answers with the presenter, and an interactive community discussion involving all participants. To RSVP, please contact yumi@olip-plio.ca by June 18, 2014. Understanding Politics: This guided tour organized by La Cité Collégiale will facilitate better understanding of the political structures in Canada among immigrant students. The tour is provided in French. The tour will start at 653 Somerset Oriental Charm Gift Store. Tickling the Tastebuds: Discover the best foods Ottawa’s Chinatown has to offer! On this 1.5 hour walking tour Chinatown Business Improvement Area (BIA) members will take you to visit several restaurants, stores and food artisans to introduce you to the foodie paradise that is Chinatown. You will be able to taste food samples at each place. The tour is designed to showcase the contribution of immigrants to economic development of Ottawa. This interactive workshop will assist you in preparing to be comfortable and confident in how you present yourself to employers in Ottawa. Meet and mingle with mentors and learn new techniques and best practices to enhance your networking skills and elevator speech. The OCISO Career Mentoring Program is celebrating its tenth anniversary working with internationally trained professionals. Algonquin College, Robert C. Gillett Student Commons, Building E.
College Kickoff: Algonquin Welcomes the World! Post-secondary Education: Algonquin College is organizing this event to engage the immigrant population and International Students population of the National Capital Region. You will enjoy an interactive afternoon of fun, with BBQ and refreshments, as well as live coverage of the World Cup. Organizers will offer conducted tours of the campus and answer questions regarding programs and services offered by the college. There will be activities and treats for children. To register, please click here. Gymnasium, l’école Éducation Permanente, 181 Donald St.
J’arrive, Je m’implique – engagement communautaire. The Réseau de soutien à l’immigration francophone de l’Est de l’Ontario and its members are pleased to present an evening of discussion and networking: J’arrive, Je m’implique – engagement communautaire. 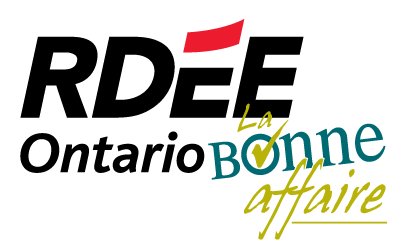 Community members and Francophone newcomers are welcome: the more the better! Click here to register and view program agenda. 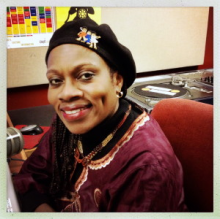 Immigrant Women’s Health: Learning event will share the process of a photovoice project that engaged African and Caribbean immigrant women in Ottawa. We will discuss the research process and issues surrounding food choices and immigrant health and well-being with a focus on food choices during the pregnancy and early postpartum. The process of developing educational tools for health care providers, researchers and community members will also be presented. The event is sponsored by the University of Ottawa’s Dr Josephine Etowa, the Loyer-DaSilva Research Chair in Public Health Nursing and the School of Nursing. Jean Pigott Place at Ottawa City Hall, 110 Laurier Ave. W.
Removing Barriers: This new dynamic online service that showcases Ottawa’s cultural and creative venues, sites, events, businesses, and organizations has been built by City of Ottawa’s Cultural Services Branch and the Arts and Heritage Plan Renewal Process. The “Ottawa XYZ” portal will map Ottawa’s diverse cultural assets, connect cultural entities, and reduce barriers for engagement. Settlement and Integration: Watch the documentary “Twelve” by Philippine-born filmmaker Lester Alfonso that interviews twelve youth who had moved to Canada at age 12. Join a discussion afterwards. Ottawa Chinese Community Service Centre 206-381 Kent St. Being Entrepreneurial: Two-hour information session targeted at immigrants to explain the basic rules and regulations that govern start-up businesses in Canada. The information will include types of business organizations, acquiring a business number with Revenue Canada and municipal licensing. This WOW learning event is sponsored by Invest Ottawa & the City of Ottawa. In honour of Ottawa’s rich cultural diversity, the Hazeldean Branch of the Ottawa Public Library will be hosting a free cultural event for the whole family. The event will start with a multicultural storytime at 11:00 a.m.
For more information about the Celebrating Cultures programming series, check the Library’s Programs and events page or contact their InfoService line at 613-580-2940613-580-2940. Sports and Community Integration: A soccer tournament organized annually by the Catholic Centre for Immigrants, where the soccer teams exemplify the diversity of life in Ottawa. Citizenship Ceremony of new Canadians will be part of this community event. Equity in Health Outcomes: Featuring a range of innovative programs, the Immigrant Health Information Fair seeks to ensure equity in health outcomes, including preventive measures and creative community solutions to connect immigrants to the health care system. The Fair will include interactive presentations, handouts and on-the-spot screening and training activities. The Multicultural Health Navigators Program – (Somerset West CHC), SCREEN Diabetes Program – (Centretown CHC), Mental Health Counselling Program – (OCISO) and the Ottawa Public Health (OPH) Programs are among the featured initiatives. City of Ottawa’s Parks, Recreation and Cultural Services Department’s info booth is geared to Ottawa’s diverse immigrant community. Participants can learn about programs/services of interest to them and/or tell organizers about their parks, recreation and cultural services needs. Multicultural Music: An interactive musical workshop by World Folk Music Ottawa (WFMO) will introduce pieces of world folk music to Ottawa residents gathered for family fun at Ottawa’s Community Cup. Featured artists are African drummer Zvondai Mucheneje and Alicia Borisonik , who will hold a workshop on multicultural musical instruments. WFMO is a non-profit organization founded by newcomers that aims to provide musical programs to underserved communities. Calling all foreign-born residents in Ottawa: Help us celebrate the spirit of genuine hospitality and respect extended by Ottawans of all backgrounds towards newcomers in everyday life by nominating someone to be a WOW Ambassador! Was there a friend, neighbour or colleague who went the extra mile to help you feel at home in our city? Let us know by June 6, and you both could become part of our special WOW 2014 photography project. Fore more details click here. Please note that the 2014 WOW Ambassadors have already been selected. A photo and story exhibition of the selected Ambassadors and their nominators called “Faces and Stories of a Welcoming City” will be displayed June 23-27th at Ottawa City Hall. View the portraits of Welcoming Ottawa Week Ambassadors covered by the Ottawa Citizen. Here you can learn about the people and events to be featured in Welcoming Ottawa Week (WOW) 2014. Our Chairs, partners and volunteers will provide updates on news and events concerning WOW. Stay tuned for some exciting announcements. If you have an idea for a blog post or if you would like to write for us, email us at hasmik@olip-plio.ca. Click here to read the 2014 WOW Blog.